Well – here’s hoping for something spectacular and not another damp squib like Ison! Less than two weeks to wait and see now. On May 23 and May 24, Earth should plow through debris shed by Comet 209P/LINEAR, astronomers say. These extraterrestrial particles could give stargazers an incredible show as they burn up in the planet’s atmosphere — or the anticipated fireworks may fizzle out. Thanks for that. Will try to remember the date. I’ve added a NASA video about the upcoming shower to the main post at the top of the page. All the let downs… Ison, and Aurora… Hoping too for a good NLC period. I remember an awesome Shower from the Dark Skies of a Loch island…we sat out watching the The Perseids, for hours..One August night…many moons ago. And the added chance of Moon and Venus rising.. Kool… Cheers for the video. Here is a nice Type III Sand Ripples , or Waves. Off to bed..car due in garage at 8 / 9am…. On the night of May 23-24, NASA meteor expert Bill Cooke will host a live web chat from 11 p.m. to 3 a.m. EDT. Simply return to this page a few minutes before the chat begins, then log in to ask your questions. A live Ustream view of the skies over Huntsville, Alabama, will also be offered on this page. That’s from 4 in the morning until 8 UK time. After a day of overcast sky the sun has just come out prior to setting. Maybe I will get some breaks in the cloud to look for meteors tonight! Unexpected minor magnetic storm. Very slight chance for Aurora visibility in UK (if storming picks up further) tonight as well! Aurora – Aurora may be visible at high latitudes such as Canada and Alaska. have you heard how the new shower went ? Anything to report this time? Do hope so. The weather in the SE on this Bank Holiday Monday is dire. Quite chilly and very damp as the showers move away north east. Solar energy not enough for our solar panels, beware of draining the sun. Will republicans want to tax sunlight? Meteor shower wasn’t very active so we didn’t really miss anything under all that cloud. I don’t dismiss this Nevermind. I think the same about tapping into the fiery core of the earth. Eventually there will be no warmth left. Perhaps not in my lifetimes. There’s just been a filament eruption on the Sun – looks like it may have an earth directed component. See the last 5 seconds or so of video below. Awaiting Corona Imagery for more details. OK. NOW they tell us. NASA ! (dum dum,.. dum dum dum) what is good for? NASA did actually talk about it at the time – . I recall discussing it on another forum. Real time data was being fed for all to see live and people were commenting that it it was lucky not to be earth-facing. Here’s what NASA said about it in 2012. While large, this measurement of the magnetic field is still smaller than one of the greatest space weather events on record, the Carrington Event of 1859, during which the magnetic fields at Earth measured 110 nanoTesla. 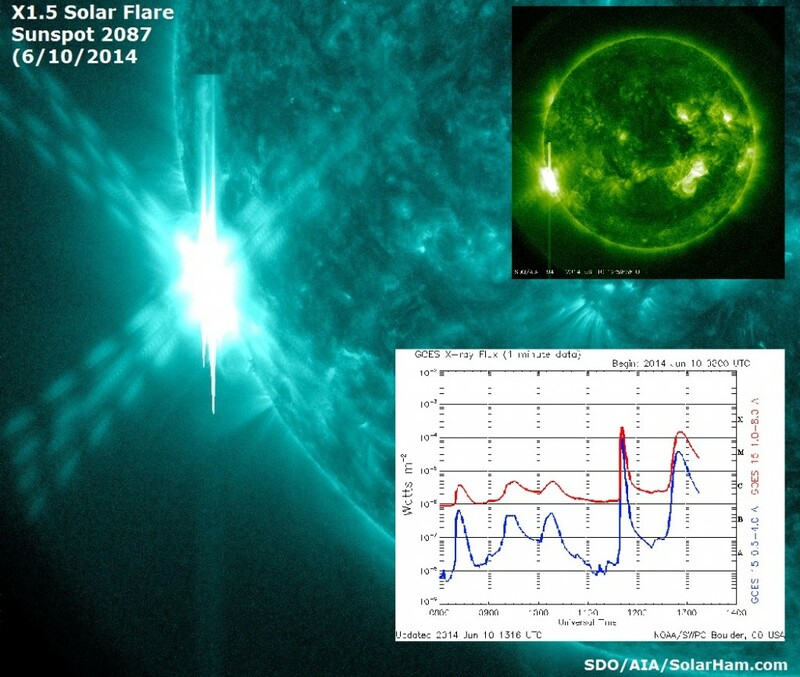 And here’s the STEREO imagery from the time along with the CME simulation released that day. I imagine it will be back in the news on the anniversary next year as well. That’s if a CME doesn’t get us all first! The source of the CME was sunspot AR1520, which sparked many bright auroras earlier this month when it was on the Earthside of the sun. 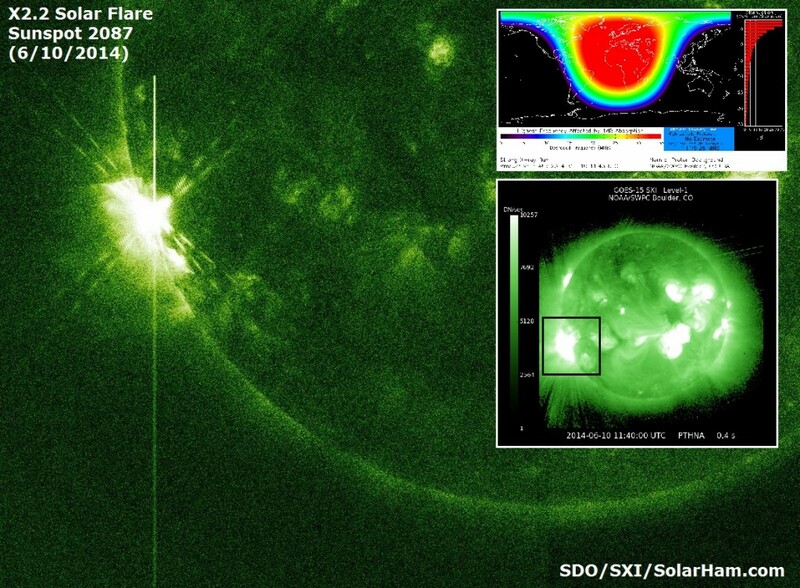 Now, however, the active region is transiting the sun’s farside so this blast was not geoeffective. One can only imagine the geomagnetic storms such a fast CME could produce if it were heading our way. Update: According to a forecast track prepared by analysts at the Goddard Space Weather Lab, this CME will miss all of the solar system’s inner planets.